The river Hornád was blocked near the village Ružín, which disappeared under the water. The weir has considerably raised the water table of the river and its tributaries. The depth of the dam reaches 50 metres and it stretches on the area of 600 hectares. The narrow ribbon of the water reservoir copies the original meanders of the river Hornád. It winds around the forested hills of the Čierna hora with impressing rock tops criss-crossed by caves. The mountain Sivec (781 m), the dominant of the landscape, offers the most beautiful view of the dam. 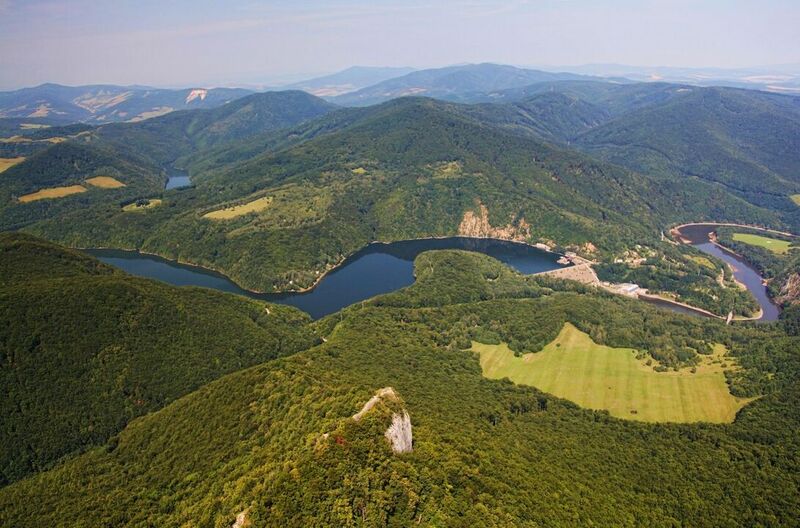 The water of Ružín reservoir is used for industrial and recreational purposes.